The first Daimler Ferret armoured cars entered service in 1952. Production ceased in 1971, with the last vehicles disposed of in 1994 – a service life of 42 years. In total 4,409 vehicles were built. 1,700 were exported, some of which are still in military use. It is extimated there remain about 1,000 Ferrrets in various stages of restoration or completeness. This Mk 2/3 up-armoured Ferret 01 DC 86 was built in 1960, serving until 1991. It is nearly 60 years old. A welded steel monocoque chassis contains the powerpack and drivetrain, enclosed inside for protection and to give the vehicle a low profile. The driver sits between the drive-shafts. The hull is divided into three compartments: driving and fighting, with the engine compartment at the rear. The driver has three vision hatches, one to his front and one on each side. Communication with the top-commander is by headset intercom. The steering wheel is reverse-sloping to fit under the front glacis so the driver can sit as near to the front as possible for a wide field-of-view. The vehicle has a pre-selector gearbox, a fluid flywheel and no clutch. Run-flat tyres with permanent four-wheel drive – rather than tracks – makes the vehicle faster and more manoeuvrable on various surfaces. Fuel consumption is around 6 mpg, dropping to about 4 mpg off-road. The primary role of the Ferret was reconnaissance and liaison duties. Defence was with a Browning turret-mounted 30-cal machine gun. A total of 2,500 rounds were carried; the crew were issued with Stens, Sterling SMGs and, latterly, SA80s for personal defence. Additionally six smoke grenade dischargers could be electrically fired from within the vehicle. The manually-operated turret has a forward-facing hatch cover forming the roof, which could also be used as a shield. The rear part of the turret wall folds down horizontally, enabling it to be used as a seat*. I know there already exist other websites on the Daimler Ferret, better-written with more information. This is my space on the web about the Ferret which has been set up for me by my internet-savvy sons to keep a record on-line for my friends, and to share the fun of owning an armoured car. Like all websites, its a constantly evolving work in progress. 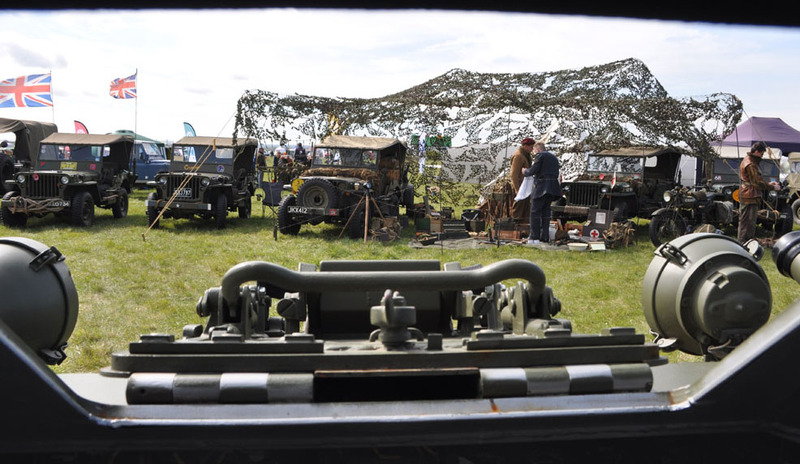 * The military vehicle community is friendly, welcoming and full of characters! I’m grateful to those who have allowed me to use or link to their material on this website. The disclaimer bit: I’ve done my best to seek permission for this. of owning a Ferrret. Also, ride Ferrets responsibly. Please don’t hurt or kill yourself – that would upset both me and you, and quite possibly your loved ones, so this disclaimer applies.